At age twenty-one, while she was working with the legendary Nadia Boulanger in France, concert pianist Carol Rosenberger was stricken with paralytic polio—a condition that knocked out her “piano-playing” muscles. But Rosenberger refused to give up. Over the next ten years and against all medical advice, she struggled to rebuild her technique and regain her life as a musician. She did indeed nd her way back, receiving critical acclaim for her performances and recordings. 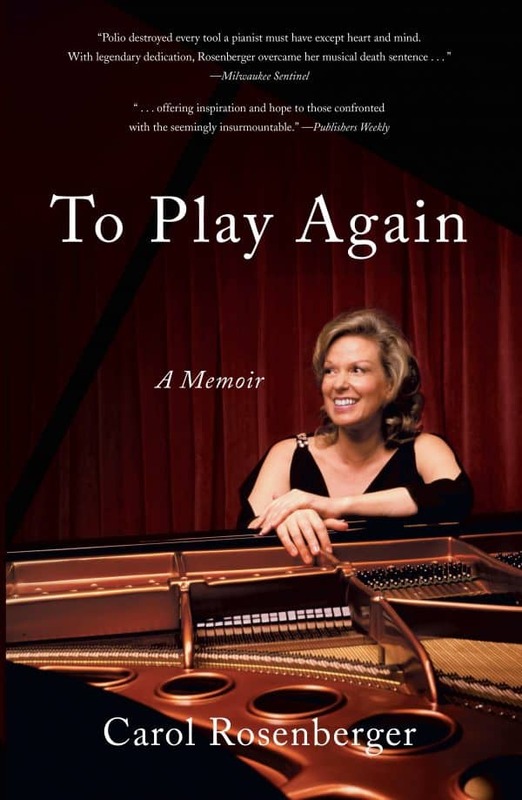 Beautifully written and deeply inspiring, this is Rosenberger’s story of how she achieved the seemingly impossible: to play again.